The new year is the start of healthy eating resolutions for many of us. After all that chocolate during the holidays, it’s kind of refreshing to go back to fresh & healthy foods. I started making healthier choices about a year ago and I feel so much better – more energy, weight loss, etc. With all the dessert recipes & parties I share on the blog, I’m sure it looks like I eat chocolate for every meal (I wish!) but I actually donate the majority of those sweet treats. This month I’m going to share some of my favorite healthier meal ideas with you but don’t worry…I’ll still have plenty of new dessert recipes to share with you too. It’s all about balance, right? 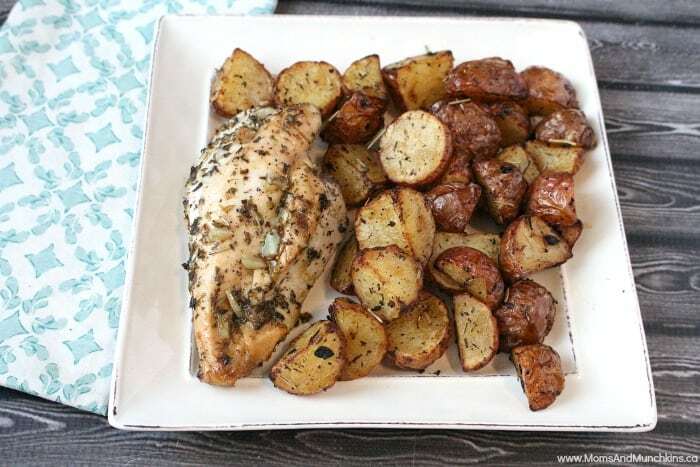 First up is this Greek Chicken & Potatoes recipe. I made this for my parents last month and even my dad (pickiest eater ever) liked it. 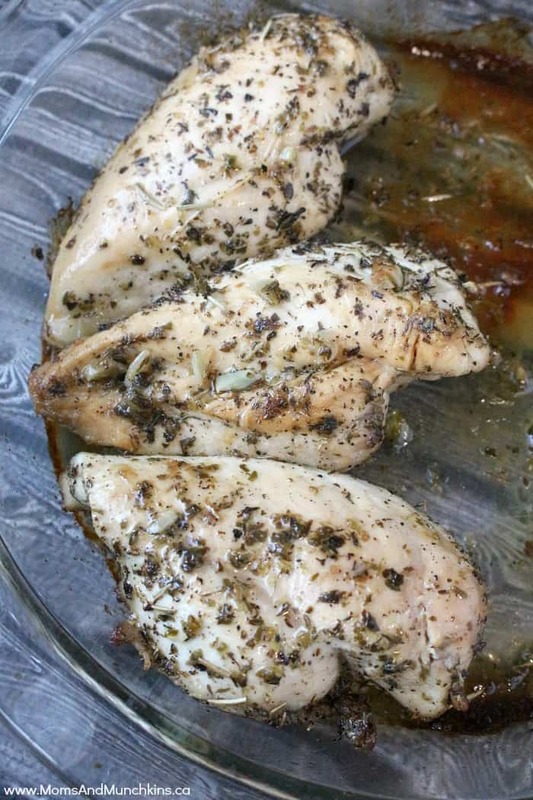 The chicken has to marinate for at least 3 hours so you may want to prepare the marinade in the morning so the chicken can marinate until you’re ready to start cooking dinner. 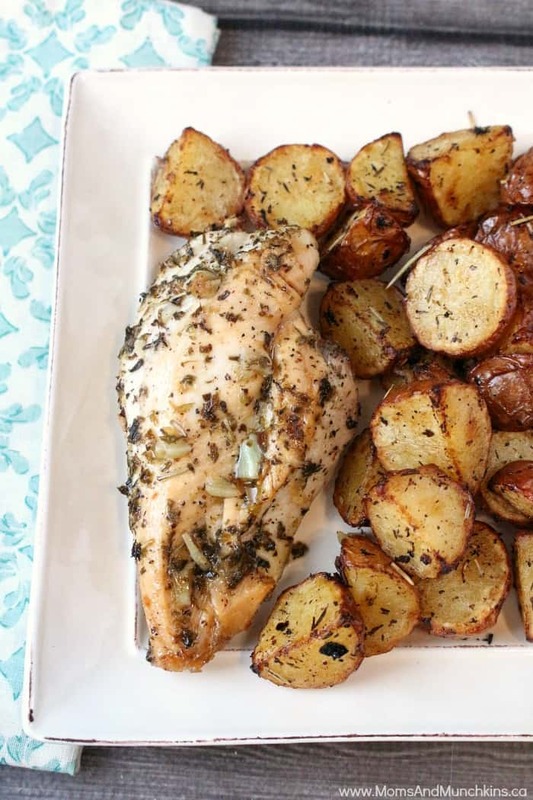 For the potatoes, I cook them in my T-fal Actifry but you could bake them in the oven instead – you’ll just have to increase the baking time if you’re using the oven. Mix the marinade ingredients in a large Ziploc food storage bag. Add chicken to the bag, seal the bag closed and shake well to mix. Place bag of marinating chicken in the refrigerator to allow to marinate for at least 3 hours. I usually put the food storage bag inside another grocery bag just to make sure there's no leaking or dripping. Place chicken in baking dish. Discard remaining marinade. Cook chicken for 40 minutes (turning over after 20 minutes). I cook these in my T-fal Actifry but you could bake them in the oven instead. The cooking time in the oven would be longer than in the Actifry. In a small bowl, mix the olive oil, lemon juice & spices together. Place potatoes in the ActiFry and pour olive oil mixture over top. 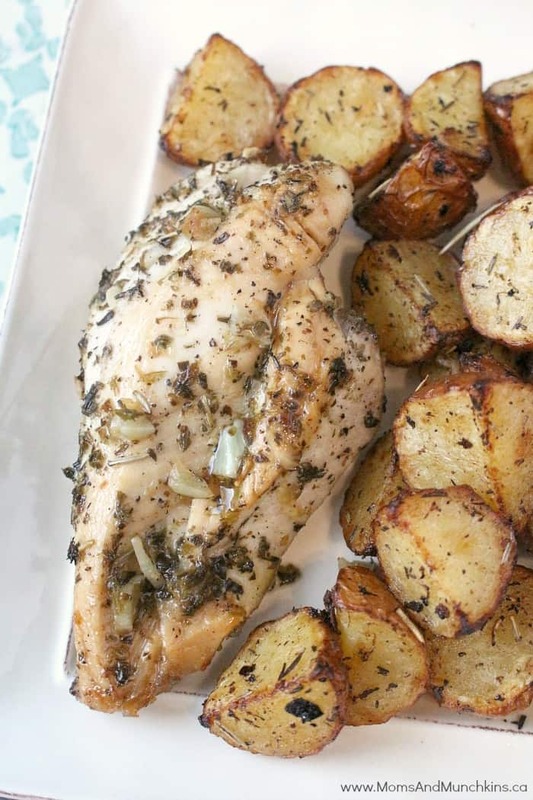 Bake for 30 minutes or until potatoes are tender and golden brown. 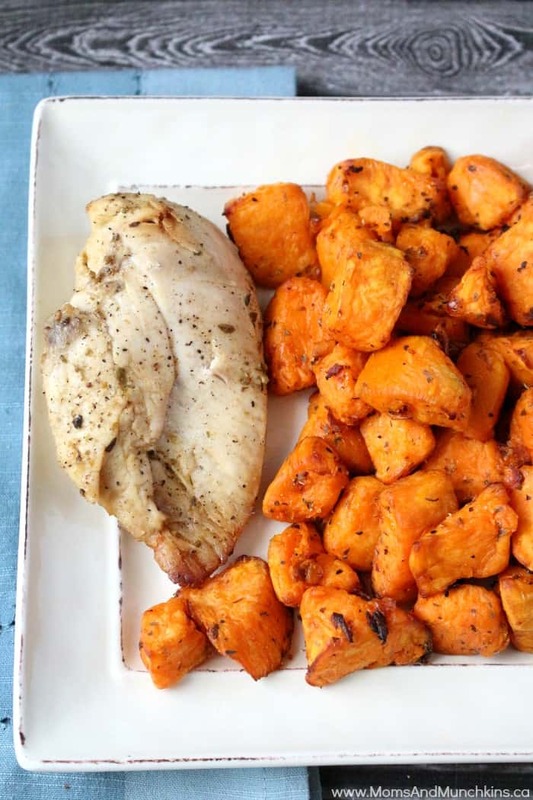 I also recommend this Lemon Chicken with Oregano Sweet Potatoes recipe. Healthy & delicious! 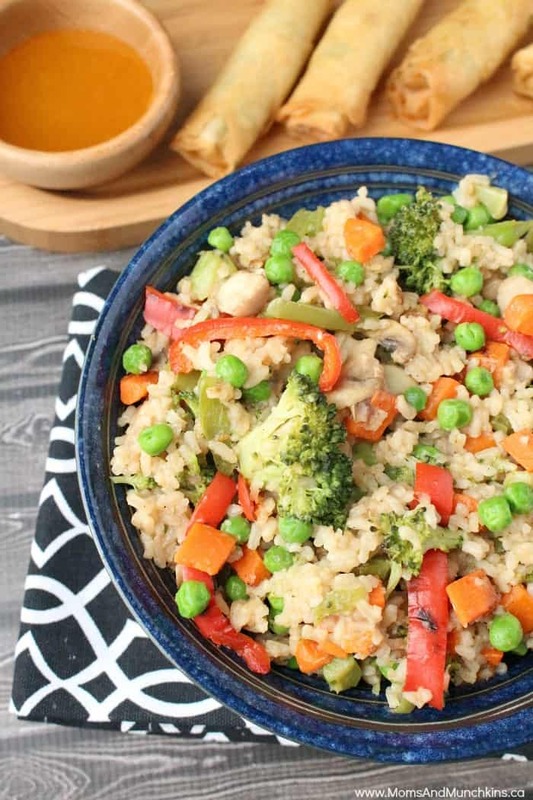 For another healthy family meal idea, I’d recommend this Vegetable Fried Rice recipe. For more delicious family meal ideas, party appetizers and irresistible desserts, visit our Recipes page. Stay updated on the latest by following us on Facebook, Twitter, Pinterest and Instagram.